This was the first primer I had ever used, thanks to a kind sales associate in Sasa who was the first person to tell me that I needed to use primer in order to save my skin. If I recall correctly, I got this as part of a sales promotion for the Any Cushion. The gel-type primer in skin tone effectively covers pores and uneven texture, makes skin texture look smooth, and keeps makeup fresh for long hours. One thing that always troubles me when I’m trying to pick a product for targeted areas/problems is that I never quite know which one to choose because I feel that I have all the possible skin problems humanly possible. At times like this, my instinct is to go for something more all-encompassing, just in case. I decided to tackle the issue of minimizing my pores instead of toning up my skin colour. I’ve always felt that my pores are too big and visible, so I thought it would be great if I could try and cover them up. Packaging: I didn’t think the tube packaging was too bad, not until I got hold of banila co.’s primer. I think this is great for bringing along when you’re traveling, because it’s so compact that it definitely fits nicely into your makeup pouch. It also allows for clean usage without a high risk of getting the tube extremely dirty. However, I do think that it would be a lot easier to get the product out with something similar to a shampoo bottle. Texture: The texture may look like cream in the photos, but is actually gel-like in real life. It also tends to be oily, which may not be comfortable for most users. Effectiveness: This primer really does give the appearance of minimized pores on application, so it definitely works as advertised. Although it did help my makeup to stay on and stay fresh longer than I did without primer, I felt that it made my skin feel quite oily, especially after long periods of time. I’ve heard before that such pore primers could possibly clog up your pores because they ‘fill in’ your pores so that they look minimized and your face will naturally look smoother. I think this ‘pore-clogging’ theory could have possibly been the case with this primer, because my face definitely felt more oily, and my pores more clogged than ever before. I was proven right when I had a mild case of acne breakout the next few days. If you’re looking at getting this to minimize your pores, I would advise you to think carefully about whether you have pores that get clogged easily, or if you have very oily skin, before going ahead to purchase this. In fact, you might want to reconsider ever getting a pore-covering primer in the first place. 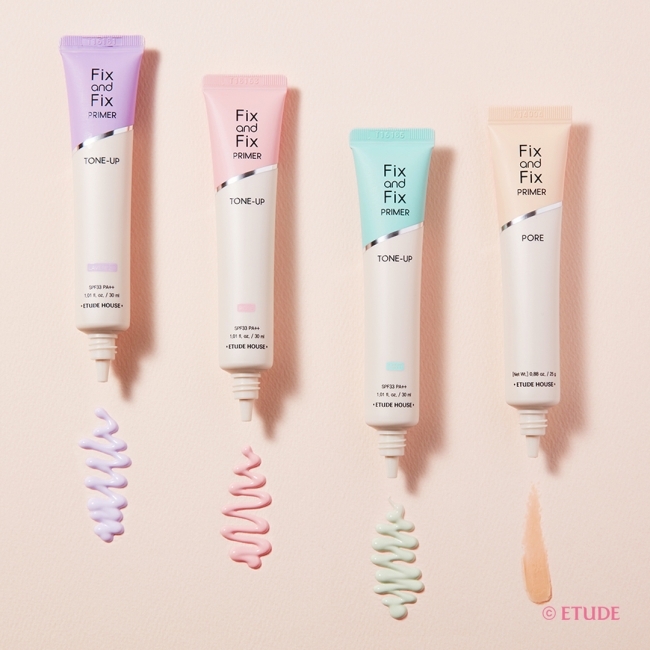 I think that it would not have been as bad with the other products in this Etude House primer line that target skin tone problems, but it’s difficult to prove so too unless I get around to trying them out. In the meantime, I guess I’ll stick to my banila co. primer unless I hear more good reviews of this primer. If you are looking to try a primer to help your makeup last and do not have any problems with oil control and clogged pores, I would definitely recommend this. Otherwise, I do advise finding other primers that will better suit your skin.